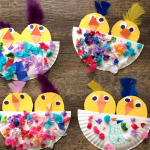 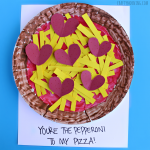 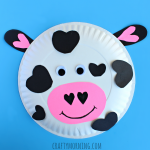 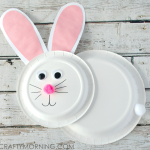 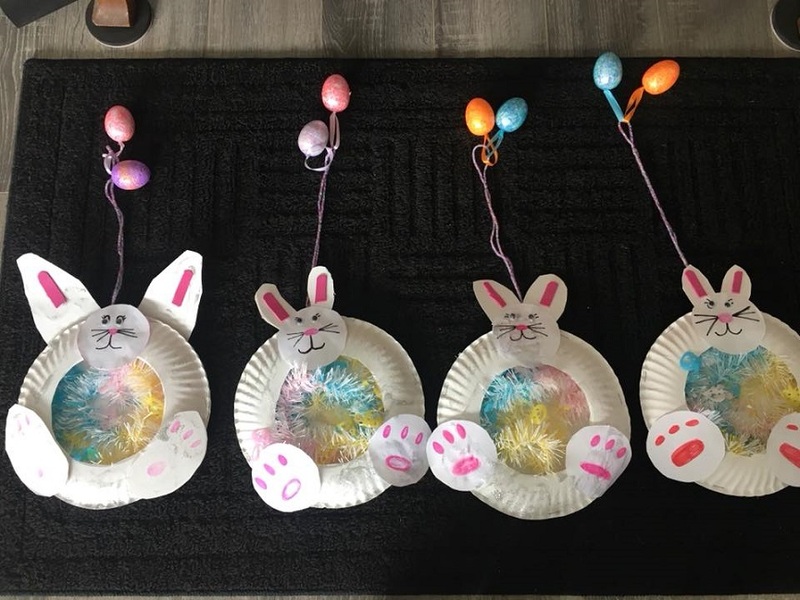 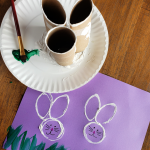 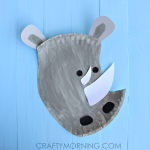 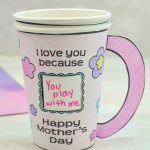 These cute paper plate Easter bunny crafts were made by Angie Thirkeild’s kiddos! 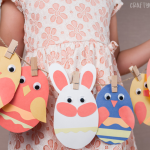 Perfect art project for the kids to make on Easter. 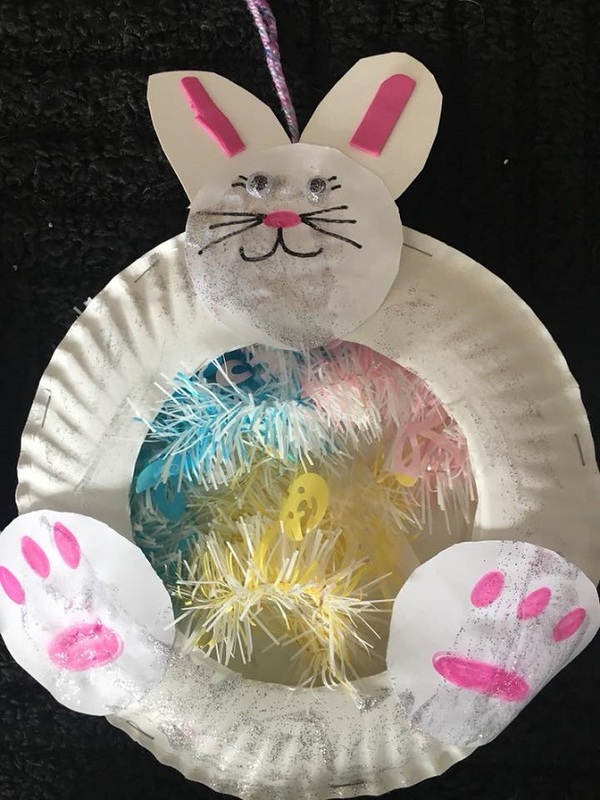 Cut a circle out of the middle of one paper plate and glue the bunny’s feet and head on it. 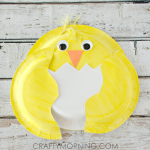 Glue grass in the center and then glue the paper plate on top of the other. 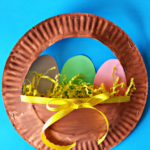 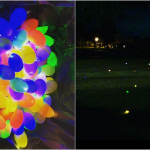 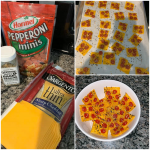 Add a string and eggs for fun!